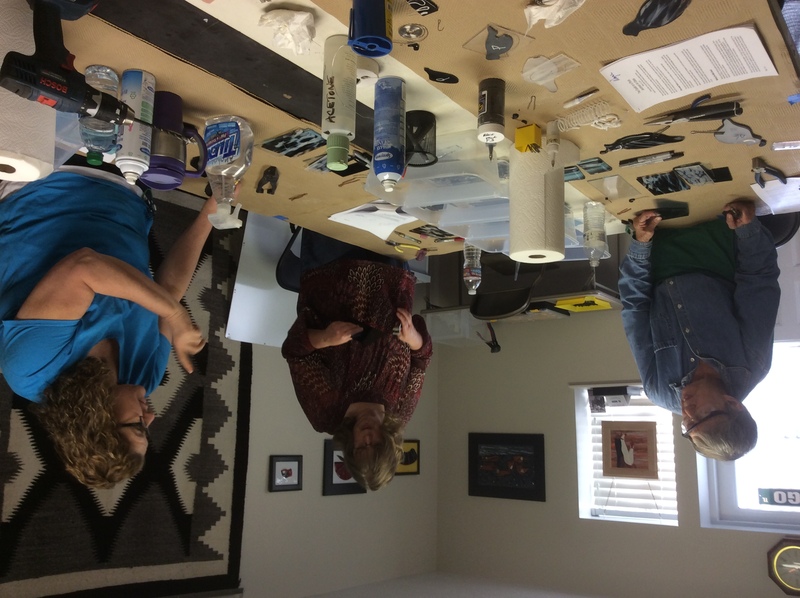 This fast paced workshop covers how to make a variety of different size, shape and style of kiln formed beads using Glass With a Past bead molds. We will begin at 9:00 a.m. sharp and make beads until 4:30, stopping for a quick catered lunch. Beads will be available for pick up the following week after fusing. 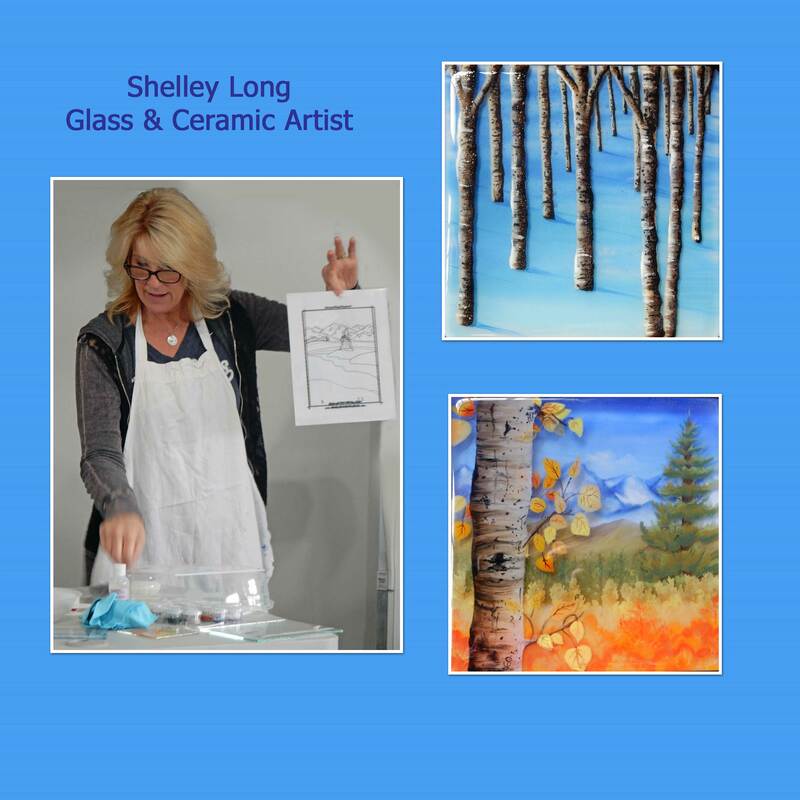 This workshop will be held in Jodi’s studio in Salt Lake City, UT. 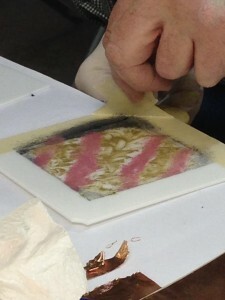 -This is class will use CoE90 art glass, stringers, powders and frits. This is the ONLY art glass class that Jodi teaches. Have a pile of frit and scrap that needs to be used? -All materials will be prepared and provided. 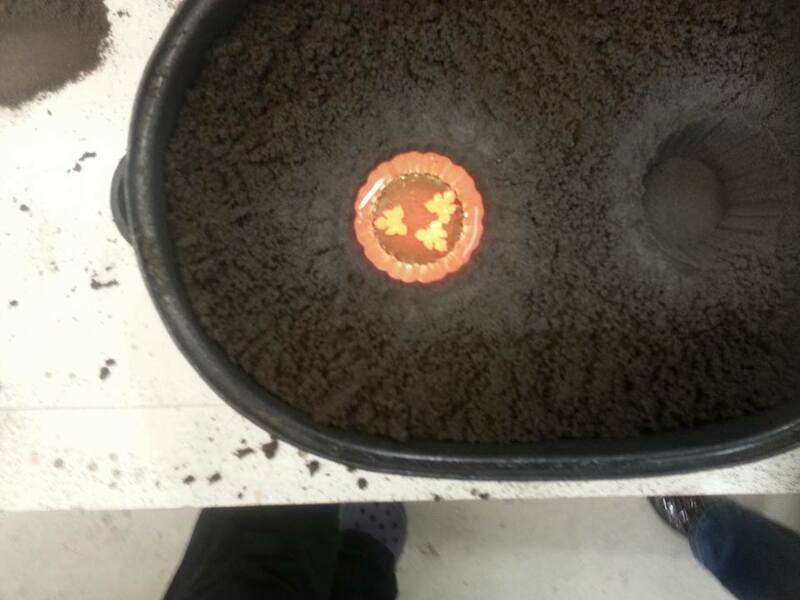 Students will need to bring a dust mask for working with frits and powders. The number of beads that we make will be determined by how fast students are able to work, however, a conservative estimate is at least 100 beads per student. Class is limited to 6 students. 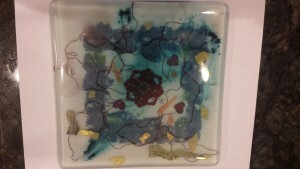 This class will cover the use of inclusion in between the glass with reactive materials. The great thing about inclusions is that they can be used with any type of glass. 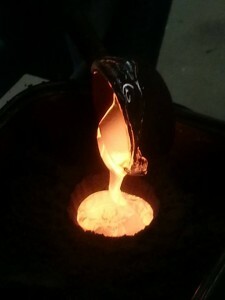 We will work with the following materials: copper sheets, aluminum foil, silver foil, copper beads, copper powder, copper stands, glass paints, brown earth, green earth, green oxide, cobalt oxide, decals and mica. 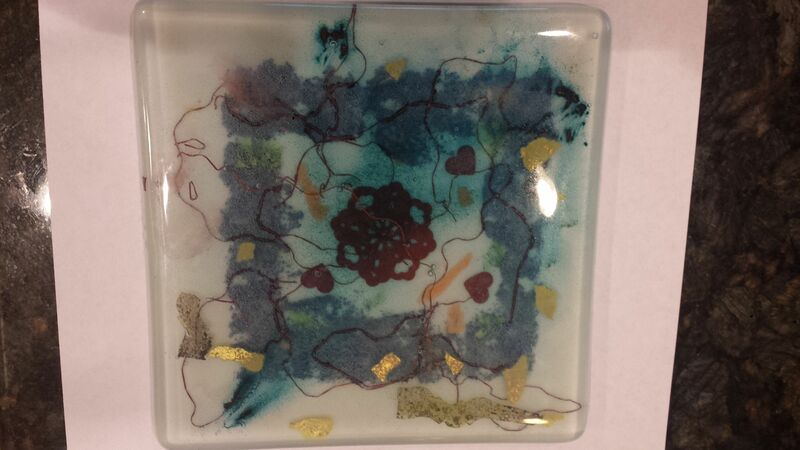 You will go home with a 7 x 7 x 3/8 finished piece and 2 x 2 test color design pieces. Students bring glass cutter, pliers, safety glasses, and mask. Phil has worked in glass since 1972. He is a well known artist who owns and operates Rainbow Glass and Beads in Sacramento. 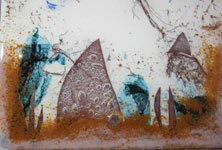 He also and designs and builds kilns for Glass Glow Kilns. He is a popular instructor at major glass shops, teaching centers, and conferences around the country. He has been commissioned for major national works utilizing sand blasting and fusing techniques. 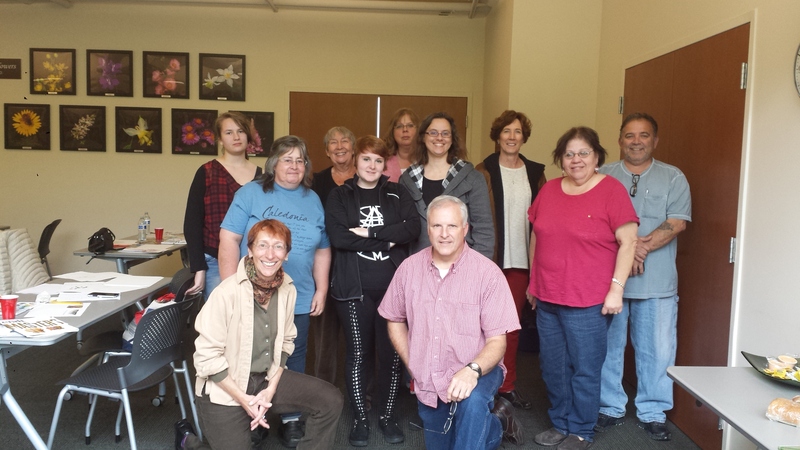 In a workshop held on May 16, 2015, the well-known artist, Lester Lee taught guild members about Art Composition and Color Theory. Lester is a skilled teacher who makes complex topics simple and easy to understand. Students were able to practice many techniques taught during the course. 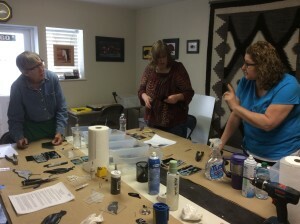 Several students also received a professional critique on their own glass creations. Saturday, May 16, from 9 a.m. to 3 p.m. at Red Butte Garden, in their 2nd floor classroom. The fee will be just $25. Please send Lori Sharf your check. The classroom holds about 30 people, so send a check right away. Though Lester is a high school teacher, fortune allows him to boost his income by selling his own fine art and illustrating for others on the side. 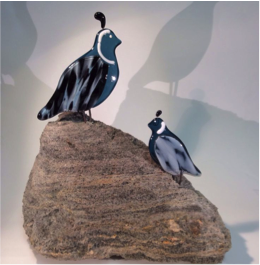 Lester has shown his work at The Utah Arts Festival and the Park City Arts Festival and Art &amp; Soup. 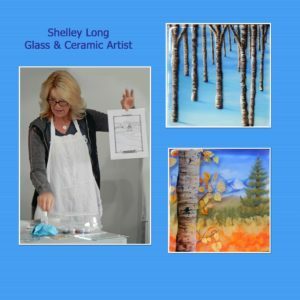 He has won numerous awards for his art work and has sold hundreds of watercolor paintings and portrait prints locally, nationally and internationally, with some of his prints selling beyond one million copies. 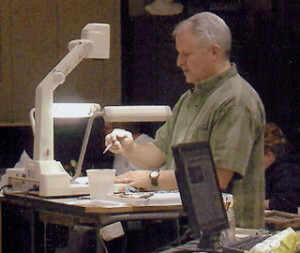 Lester has illustrated for Bookcraft Publishers, Publisher’s Press, Horizon Publishers, and exclusively with Bison Books out of New Jersey, as well as others. Perhaps Lester’s most noted illustrations are those on the cover and end sheets of the series The Work And The Glory by Gerald Lund. Lester is accomplished in most mediums of art, the most recent accomplishment being published as a bronze sculptor. Students Kathy Watt, Mary Young, and Juliann Tronier participating in Wayne Jacobsen’s Quail Sculpture Class held on Saturday, March 14, 2015.